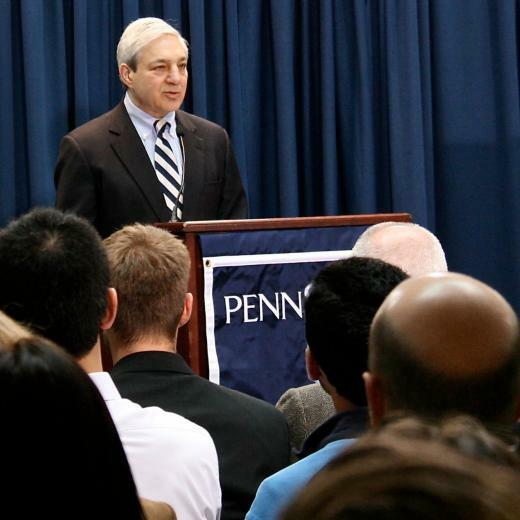 Penn State President Graham Spanier at a press conference earlier this year. 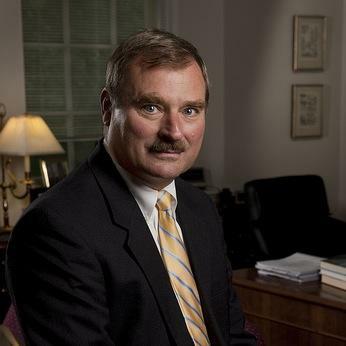 Image provided via Penn State Live, http://live.psu.edu. UPDATED @ 2:21 p.m. Nov. 5: Attorneys representing Schultz and Curley released statements Saturday. They were sent to reporters via Penn State's public-information office. The prepared statement attributed to attorney Tom Farrell -- representing Schultz -- reads as follows: "Gary Schultz is innocent of all charges. We believe in the legal system, and we believe it will vindicate him. We will fight these charges in court, and Gary Schultz will be proven innocent of all of them." The second prepared statement, attributed to attorney Caroline Roberto -- representing Curley -- reads as follows: "Tim Curley is innocent of all charges against him. We will vigorously challenge the charges in court, and we are confident he will be exonerated." As former Penn State assistant coach Jerry Sandusky and administrators Tim Curley and Gary Schultz face criminal charges, university President Graham Spanier released a written statement Saturday. Two top Penn State administrators have been charged, too, as criminal claims against Jerry Sandusky emerge, The Associated Press reported Saturday, citing authorities.